As the name alludes, the Mammoth Room is the largest room in the building measuring 120 feet by 55 feet for a total of 6600 square feet. The west end of the room features a grandiose fireplace that stands over 15 feet tall. 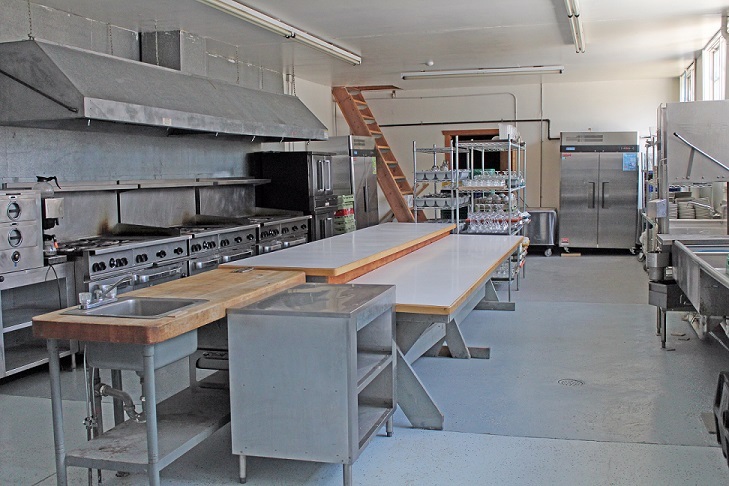 Adjacent to the kitchen, this room is an ideal location for hosting a large group of guests. Three of the four walls in the room feature striking windows spanning nearly the height of the building. Built almost entirely out of local wood and stone, the rustic atmosphere captivates guests of all kinds. Maximum capacity of the Mammoth Room is 400 people. The Firehole Room is the smaller of the two rooms measuring 30 feet by 55 feet for a total of 1650 square feet. The east end of the room features a smaller fireplace. Across the room is a historic bar recently renovated to cater to the needs of the renter. The bar area includes access from both the Firehole Room and Mammoth Room, a double sink, and a wine/beverage cooler. The room includes single stall restrooms, also recently renovated. Doors on the north and south of the room allow plenty of options for entrance to the building. The Firehole Room is ideal for a smaller event or cocktail hour. Similar to the Mammoth Room, the rustic style features wood and stone from around the West Yellowstone area. Maximum capacity of the Firehole Room is 100 people. 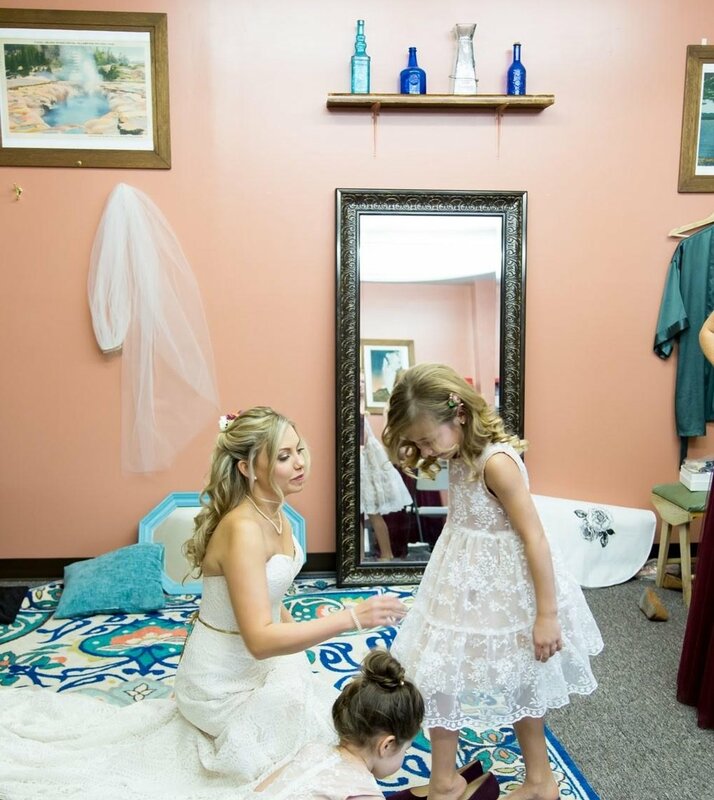 Renovated in 2016, the Bridal Lounge offers a quaint location to get ready for any event. The room includes a heater, couch, chairs, a dressing screen, a full-length mirror, and smaller cosmetic mirrors. For more information on the Dining Lodge, click HERE to download the Rental Packet.